These chips are almost all carbohydrates and make an excellent side to a meal composed mostly of protein and a little fat. They are perfect with some lettuce-wrapped sliders as a healthy swap for your traditional burger and fries. Not appropriate for Dysphagia Diet Level 1, 2, or 3 due to crunchy texture. Preheat oven to 350ºF. 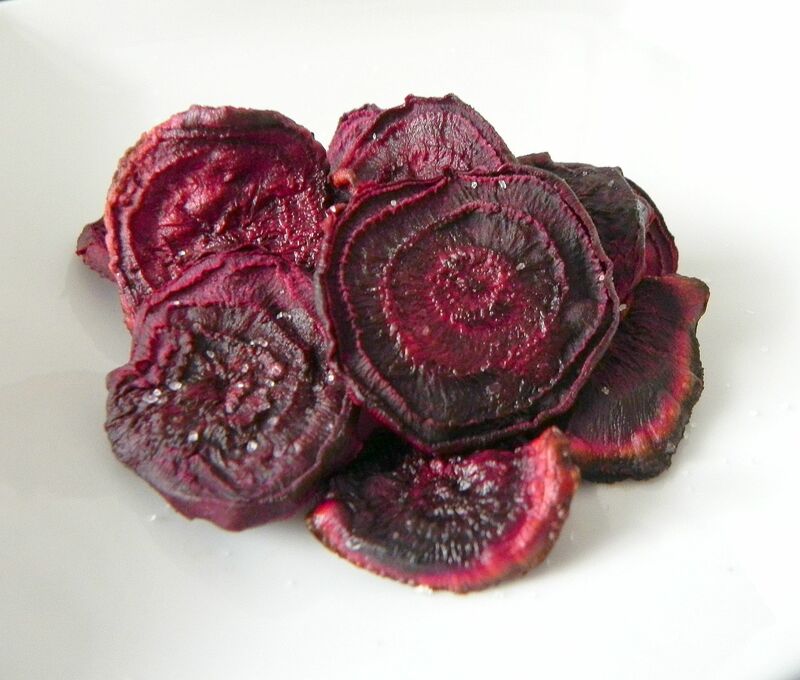 While oven is preheating, peel and slice beets using a mandolin or very sharp knife. Spread beets in a single layer onto a lightly greased baking sheet. Lightly spray beets with cooking spray *(see note). Sprinkle with salt and pepper. Bake for 15 minutes, flip, then bake an additional 15 minutes or until crispy. *Note: For this recipe you only need a small amount of cooking spray since the beets have a high water content. It’s VERY easy to add unnecessary calories and fat when using cooking spray as a replacement for oil. The nutrition facts on the side of the bottle are usually for a spray lasting only 1/3 of a second, which is almost impossible. There are about 7 calories in a 1 second spray so keep this in mind when using cooking spray.